Step out of the city life by going to Playa Portezuelo and Arboretum Lussich. Explore hidden gems such as Pittamiglio"s Castle and Playa Punta Colorada. Venture out of the city with trips to Pizzorno Family Estates (in Las Piedras), Punta Ballena (Playa Punta Ballena, Playa Solanas, & more) and Museo - Taller de Casapueblo (in Punta del Este). There's much more to do: do a tasting at Bouza Bodega Boutique, kick back and relax at Cuchilla Alta, stroll through Playa Pocitos, and admire the masterpieces at Palacio Taranco. To see maps, reviews, more things to do, and tourist information, use the Montevideo trip itinerary maker website . If you are flying in from United Kingdom, the closest major airports are Carrasco International /General C L Berisso Airport, Capitan Corbeta CA Curbelo International Airport and Laguna de Los Patos International Airport. In March, daily temperatures in Montevideo can reach 28°C, while at night they dip to 17°C. Wrap up your sightseeing on the 23rd (Sat) early enough to travel back home. The isolated hamlet of Cabo Polonio, part of Uruguay's remote Rocha province, offers a different take on a South American beach holiday. 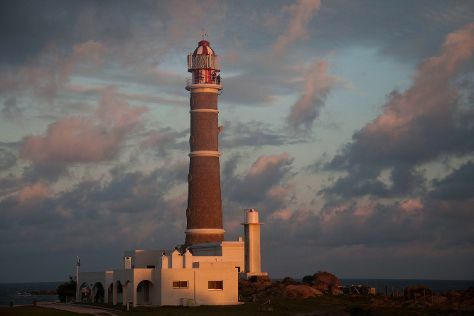 Kick off your visit on the 24th (Sun): look for all kinds of wild species at Monte de Ombúes, identify plant and animal life at Medanos de la Barra de Valizas, and then visit a coastal fixture at Lighthouse of Cabo Polonio. 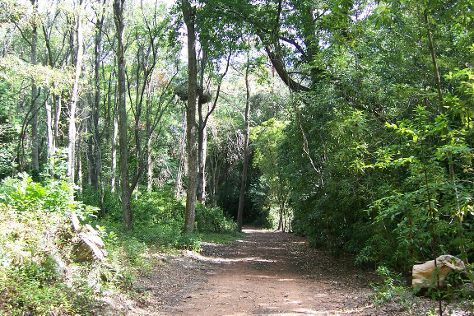 Here are some ideas for day two: explore the wealth of natural beauty at Parque Nacional de Cabo Polonio. To see traveler tips, reviews, more things to do, and tourist information, use the Cabo Polonio vacation planner . Drive from Montevideo to Cabo Polonio in 4.5 hours. Alternatively, you can do a combination of bus and taxi; or take a bus. You'll gain 1 hour traveling from Montevideo to Cabo Polonio due to the time zone difference. Wrap up your sightseeing by early afternoon on the 26th (Tue) to allow time for the car ride back home.